2-story floor plan features 2-story entry with curved staircase. 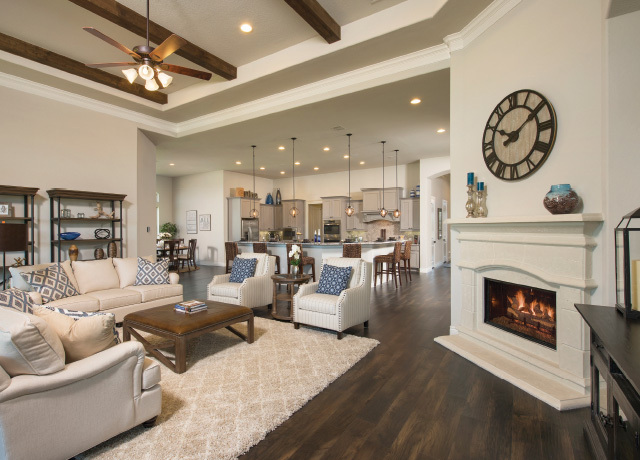 Oversized family room with 19' ceilings, double-sided fireplace and full wall of windows. 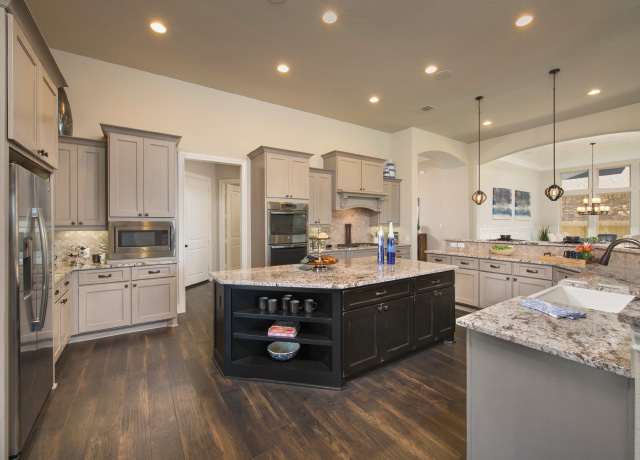 Open kitchen features 42" raised panel cabinets with built-in stainless steel microwave plus oven with separate 36” 5-burner gas cooktop and granite countertop island and hi-bar seating space, and is open to the family room. Huge 14'x15' breakfast room is also open to the kitchen and family room. 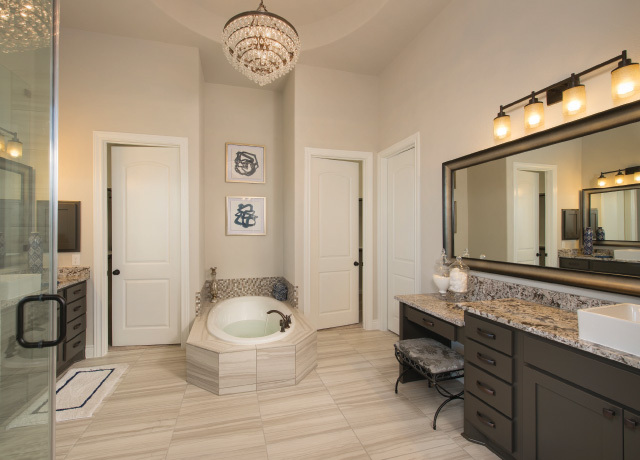 Master bath includes a 6' garden tub, separate shower, His & Hers vanities, and two large walk-in closets. Located upstairs are 3 bedrooms, 2 baths and a game room. Optional second floor media room and extended game room. 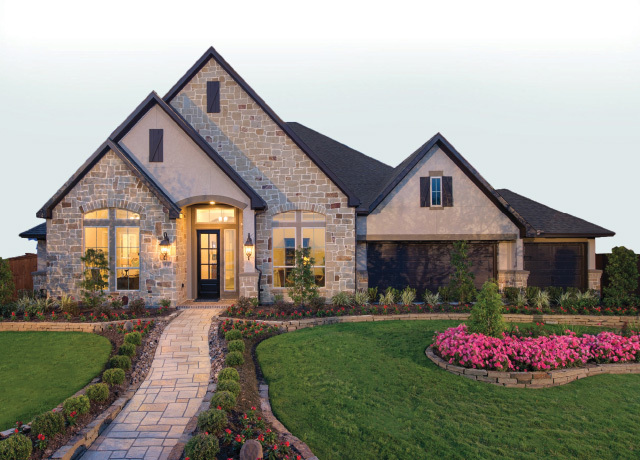 4 Bed • 4½ Bath • 3,326 sq. ft.
5 Bed • 4 Bath • 4,198 sq. ft.
4 Bed • 4 Bath • 4,073 sq. ft.